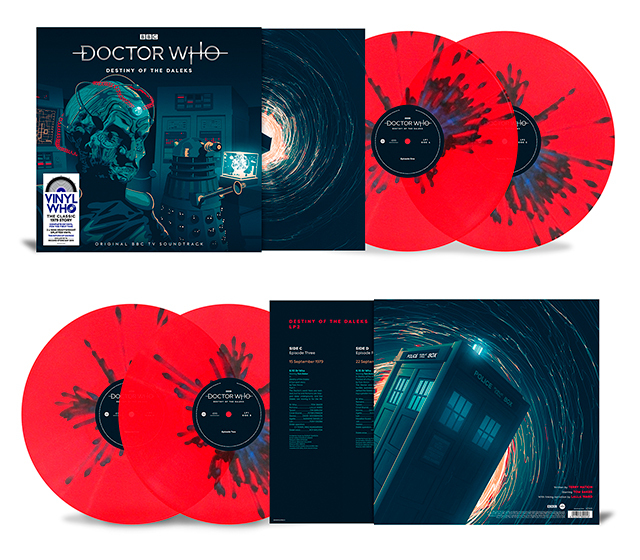 Demon Records have announced two limited edition Doctor Who vinyl releases for Record Store Day. 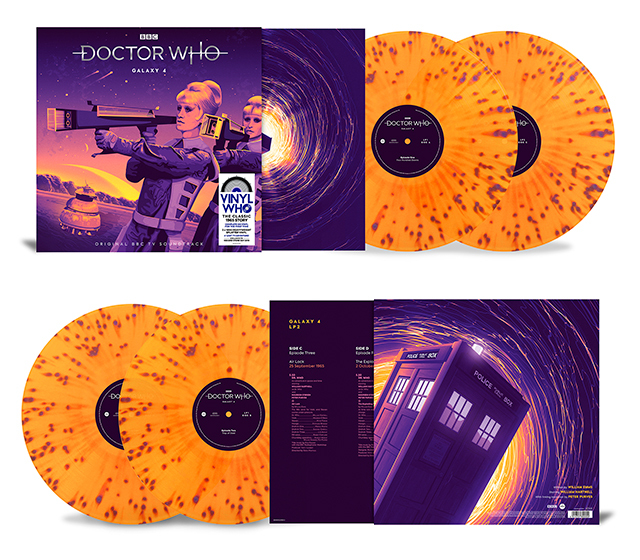 Doctor Who – Galaxy 4 and Doctor Who – Destiny of the Daleks will be released on 13th April 2019. Both are limited to only 2,500 copies and will be presented across 2x heavyweight 180g vinyl. This narrated TV soundtrack evokes a classic Doctor Who adventure in all its aural magnificence. From the eerie sonics of Ron Grainer & Delia Derbyshire’s theme tune, and the familiar ‘wheezing, groaning’ of the TARDIS, through to the menacing chirrup of the squat, metallic Chumbley robots and the atmospherics of the Rills’ spaceship, the story is alive with weird and wonderful sound. This narrated TV soundtrack evokes a classic Doctor Who adventure in all its aural magnificence. 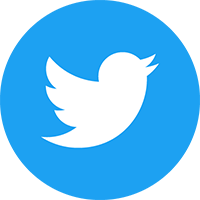 From the eerie sonics of Ron Grainer & Delia Derbyshire’s theme tune, and the familiar ‘wheezing, groaning’ of the TARDIS, through to the bass thrum of the Daleks’ headquarters, and their clamorous shriek of “Exterminate! Exterminate!” the story is alive with weird and wonderful sound. Both releases will be made available on Record Store Day, 13th April 2019 by Demon Records.